If you’re in the middle of the nesting phase then you’ve landed in the right place – we’re going to teach you how to set up a nursery. As a soon-to-be new Mom, you’re probably wondering what in the world you are supposed to do with all of those baby shower gifts you have pilled on your dining room table. When I was pregnant, I remember feeling completely overwhelmed by all of the baby products – did we really need so many wipes? (funny how quickly we ran out of what I thought was a lifetime supply of baby wipes). I definitely didn’t know how to set up a nursery. The thing is, you have probably already followed all of the many helpful registry checklists out there (you know the ones that promise to tell you exactly what you need and don’t need). But those lists don’t tell you where to put all of that stuff once it’s taking over your house. My first time around, I desperately wanted to nest but I was stuck on bedrest. Carl’s nursery wasn’t finished until months after he was born and I finally had enough energy to get it together. The second time around, I was determined to have his nursery complete before he came home. Despite our best efforts, his room wasn’t completely finished. BUT, it was organized. You see, in my house, I love when everything has a place to go. Even if the things don’t stay in their home base as often as I’d like, I like to know that everything has a place to go when it’s time to have company over. When things are chaotic, it adds unneeded stress. By having everything organized before baby gets here, you’ll feel more prepared. When you’re running on less than two hours of sleep and the baby has a blow out in the middle of the night, you’ll know exactly where the extra wipes and sleepers are located. 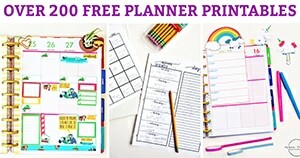 So let’s get you organized so that you’re ready for baby (as ready as you can be). Looking to track important baby information at the hospital and home? 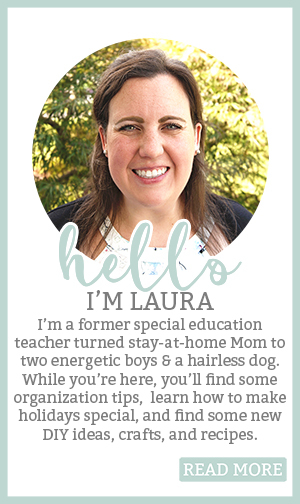 Don’t miss our parent’s free printable starter pack. Having the diapers, wipes, and ointment organized is important if you want an easier diaper change. In the beginning, babies aren’t as squirmy. But as they get older, diaper changes can feel like a wrestling match. We had two diaper stations in our house. One upstairs in the nursery (or in our Master the first couple of months) and the second in the downstairs playroom (my sister and friends had theirs in their family rooms). 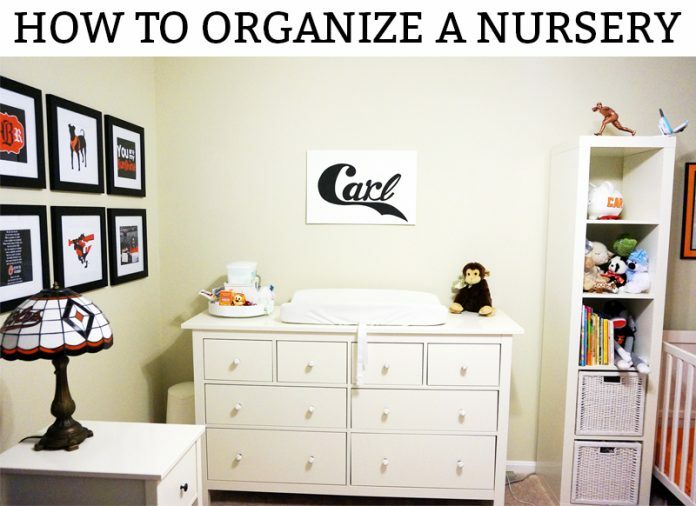 There are so many different ways you can organize your diapers supplies. In all honesty, an old cardboard box would work. But there are also some great inexpensive organizers available on Amazon. Where were these adorable and portable diaper caddies when I had my babies? These diaper caddies can be sat on a dresser or changing table and then taken around the house as needed. There is storage for diapers, wipes, ointments, small toys to occupy the baby during changing time, etc. This hanging diaper organizer is another great option for organizing diapers. If you have a changing table or a dresser that this can attach to, it keeps everything you need for diaper changes close by. This is just like the diaper organizer we used in both of our son’s nurseries. Unfortunately, the one we had is no longer for sale. But this tabletop organizer works well if you have a long dresser that you are using instead of a changing table. One option for storing extra diapers and wipes is to use storage bags to slide underneath of the crib. There are many options that can match the colors of the nurseries. If you’re like me, you likely received clothes from all age ranges. The piles of clothes can quickly become overwhelming. I have a very specific organization strategy for clothing. I place each size of clothing in a large plastic bin and label it with the size. I keep the current size box in the closet and the next size as well. I place all of the current size clothes in the dresser. But I leave the empty container in the closet. That way as the child grows out of the clothes, I can place the clothes that become too small in the box. As the box starts to fill (or the child is clearly ready for the next size), I switch out the clothing. I place all of the too small clothes in their box and then place the box in storage. Next, I place the next size of clothes in the dresser and the box of upcoming clothes into the closet. If you plan on saving any clothes for keepsakes, it is also helpful to keep a box labeled as such in the closet. That way you can easily put the clothes aside to be kept so that they aren’t accidentally given away or sold. When it comes to how to organize the clothes, that will depend on your dresser and/or closet. I prefer to hang dressier clothes and place casual clothes in the dresser. We love our dresser from Ikea. Both boys have the same dresser in their rooms. It makes clothing storage so easy. And I can honestly say that it has grown well with our boys as their clothes have gotten bigger. Inside of the smaller drawers, I have some drawer dividers. They are especially helpful for socks, baby mittens, medicines, etc. When our boys were newborns, this is how we organized their dresser (hover over the black plus signs to expand and see what we store in each drawer). A simple toolbox (that can have a lock on it) or a plastic bin (kept up out of a child’s reach) is the perfect place to store everything you need when your baby gets sick. You don’t want to be digging through all of the cabinets looking for the right medicine. When we found out my twin sister was expecting, my husband and I decided to put together a “medical” kit for her. It’s often times forgotten about at baby showers (baby clothes are just too cute for people to resist buying). We purchased a plastic storage container and filled it with all of the necessities for the first year. In addition, I wrote up some notes for her on things like fevers and uses for specific medicines and tools. Bath toys need storage, too! We have gone through a couple of bath storage options (some have been good others not so much). Anything that suctioned to the wall ended up falling down repeatedly. Instead, opt for something that won’t fall (and accidentally hit the baby while you’re bathing them). This storage caddy is a great option that allows the toys to be stored and drain until next time. 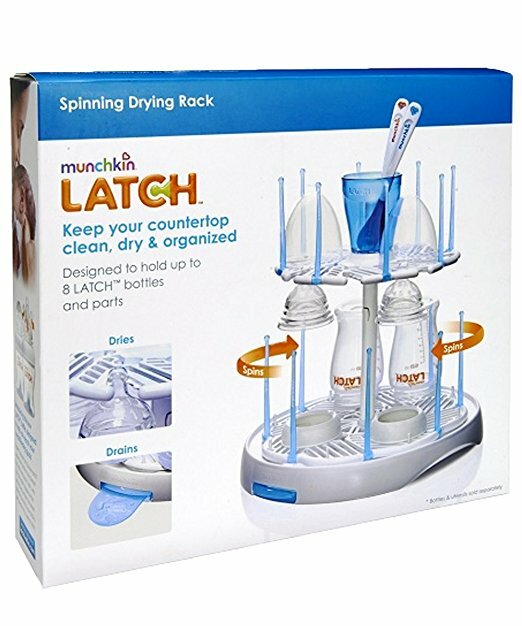 This drying rack is tiered making it a great solution for those that need lots of bottle storage. We actually used an older version of this same brand and loved it. Dr. Brown’s bottle rack is a unique design that fits lots of bottles and small pieces. It collapses for easy storage when it’s not in use. Looking to create an adorable garden of bottles? Then you’ll definitely want to grab one of these bottle drying racks. If you noticed in the above image, I had a small drawer in a nightstand that I used for breastfeeding supplies. Make sure that everything you may need for feedings is located in an easily accessible location close to where you are feeding. For me, that meant keeping a stash in the nursery nightstand as well as on the end table in our family room. These are the two main places I feed. As your little one grows, feedings become quicker and your need for supplies becomes less. But, if you have a cluster feeding baby, make sure you’re stocked up. My first son was an eating machine so I had to be prepared to be glued to his rocking chair for hours a time. Toy storage is one of those things that will evolve as your house begins to look like a toy store. These are a few ideas for keeping toys neat and orderly. Have you ever seen one of these storage units in a classroom? It’s because they’re great at storing multiple smaller toys. You can organize toys by type in an accessible unit for little ones. This toybox bench combo is a great multi-purpose toy solution. If you have a Silhouette or Cricut, you could even add a name or cute details in vinyl! These adorable baskets are all the rage right now in home decor. Why not use one to stylishly store your kid’s toys? This graphic stand-out could be used to store toys or as a hamper. Not quite your style? They have some other pattern options, too! Stuffed Animal Storage is a must in our home. For some reason, everyone gets our kids stuffed animals (I get it, they’re adorable. I am just as guilty as our friends and family). This “bean bag” has a dual purpose. It works as a chair and as a stuffed animal holder. Another option is to have shelving and/or a toy box. 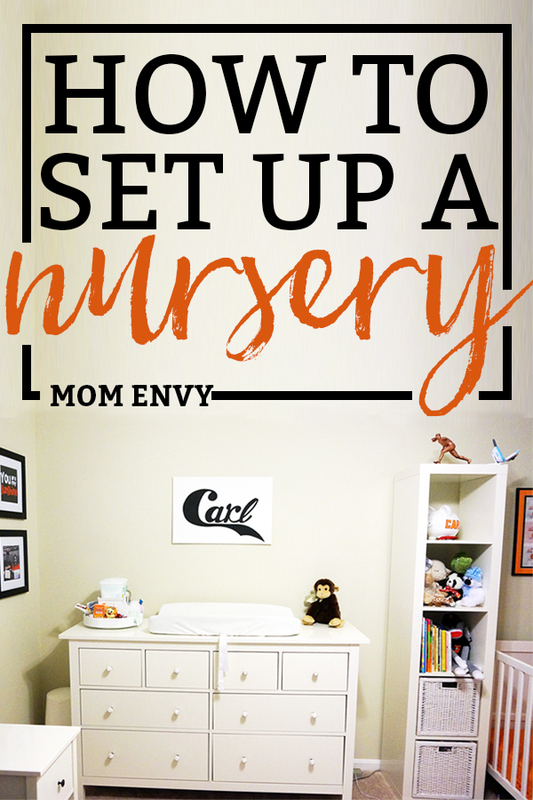 What’re your Favorite Tips on How to Set Up a Nursery? 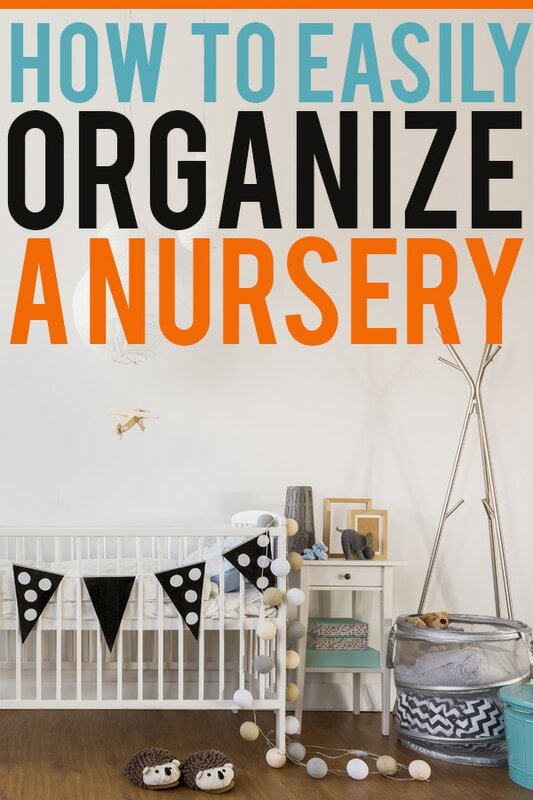 There are SO many ways to organize a nursery or kid’s room. 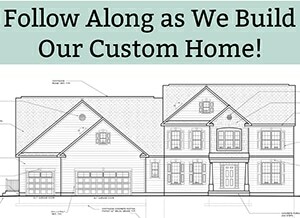 Try out different storage methods until you find something that works best for you and your family. With all things Momlife, what works for one Mom, won’t work for another. Do you have a favorite storage method for your nursery? 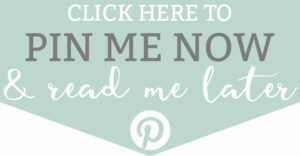 I’d love to hear about it (or see it!) Share it in the comments below so that you can help inspire others to get ready for baby! 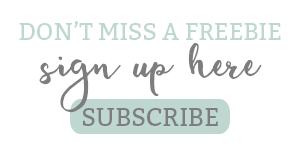 Previous articleNo Spend Month Tips – Free No Spend Planner Stickers and Trackers Included! I love these tips. So very helpful. I used your ideas to help set up your sister’s new nursery as you well know. What a time saver not having to try and figure it out on our own.